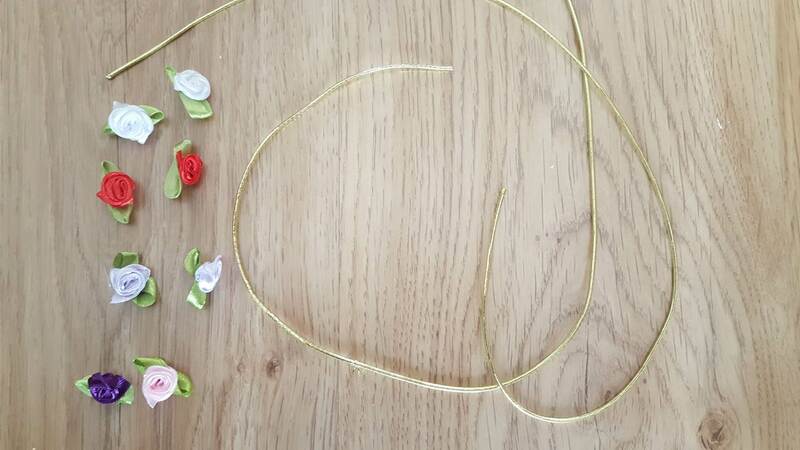 A while ago a friend gave me a bag of small ribbon flowers in assorted colors. 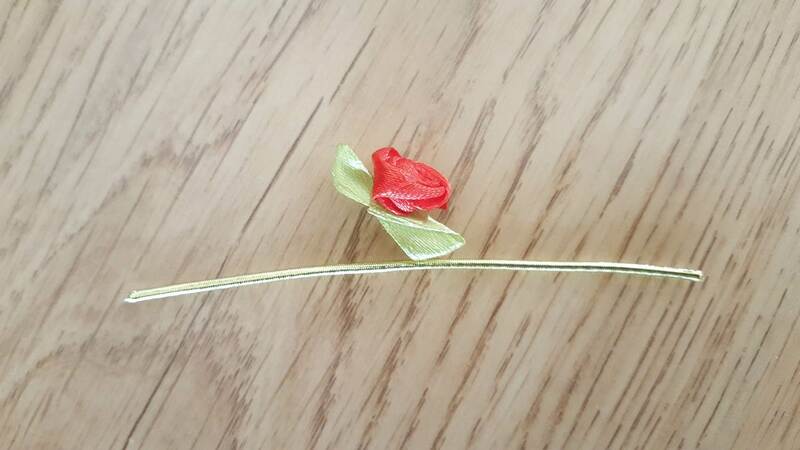 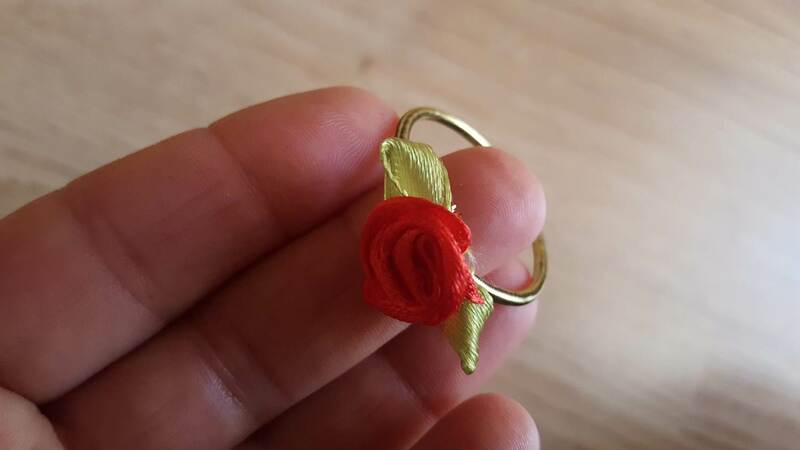 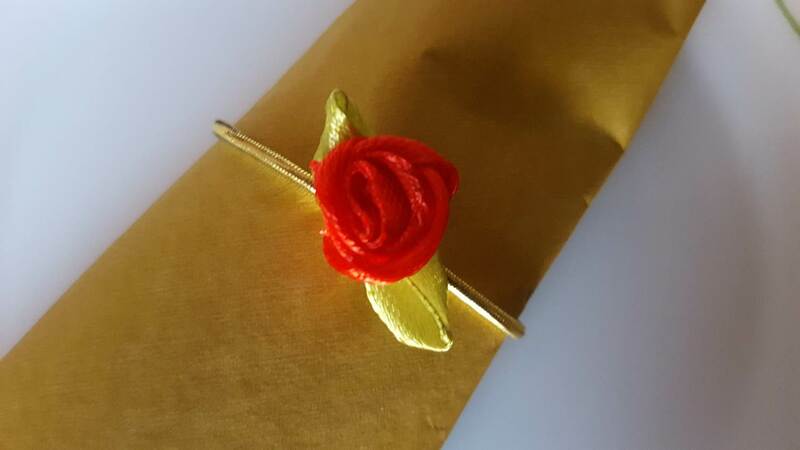 For a while I had no idea what to use them for - hair clips for my daughter? 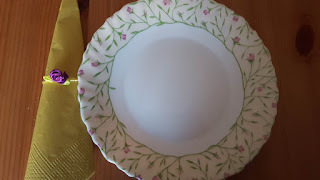 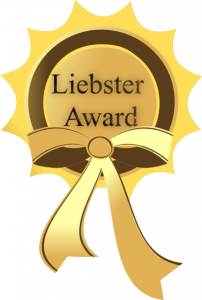 embellishments on sewing projects? 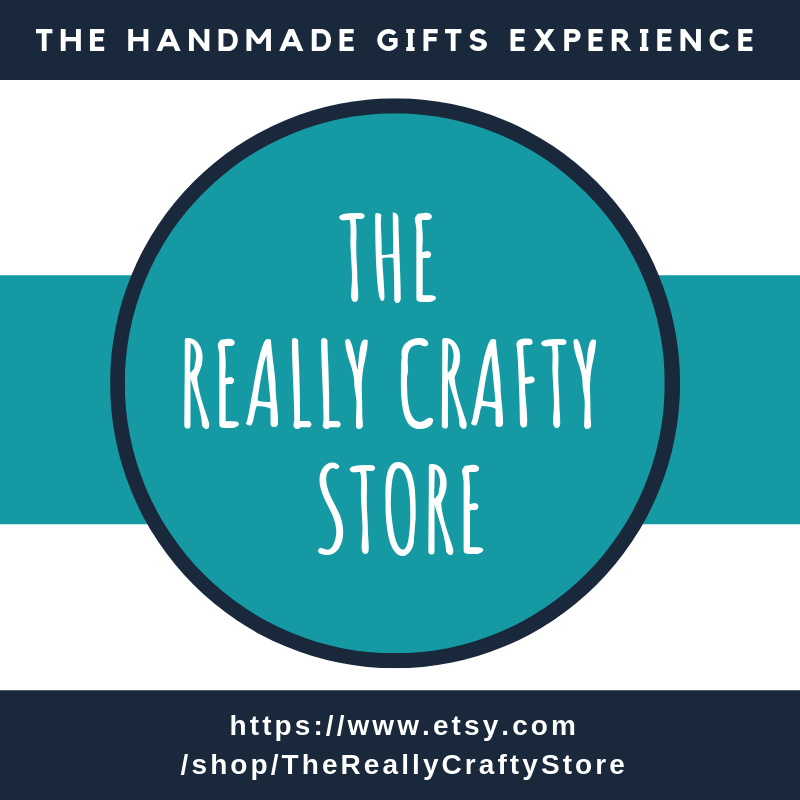 greeting cards? 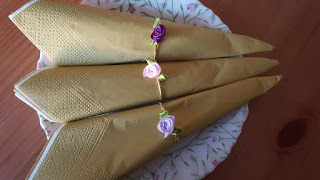 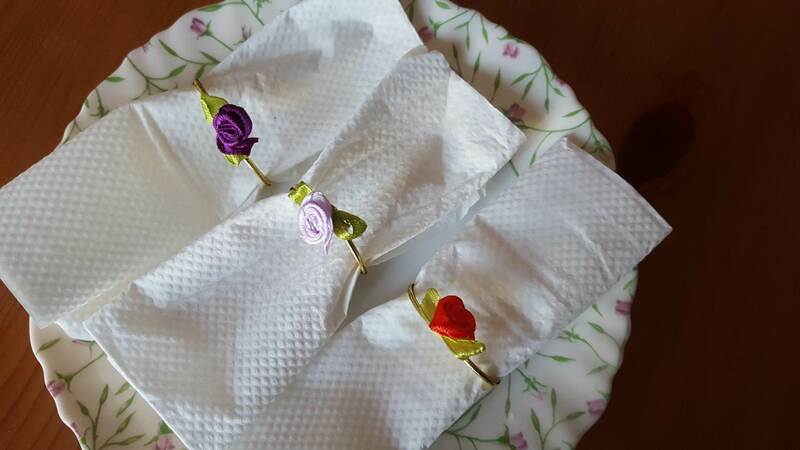 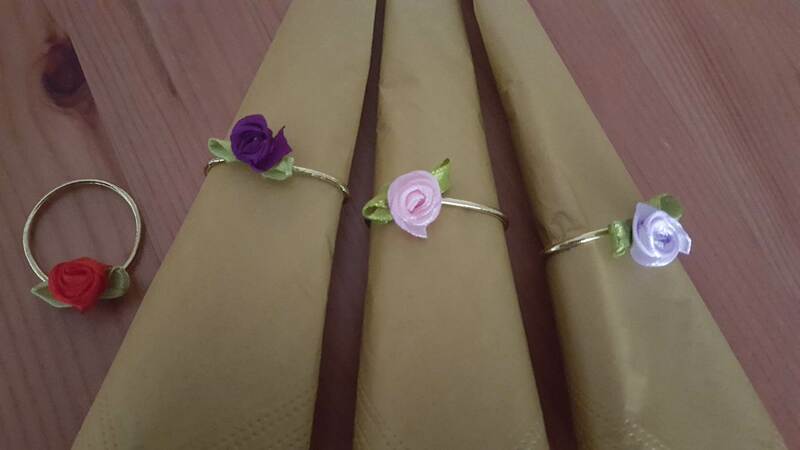 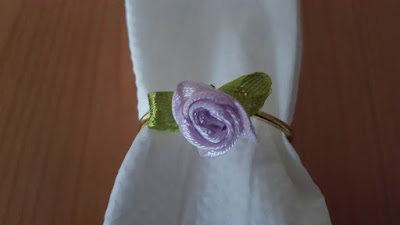 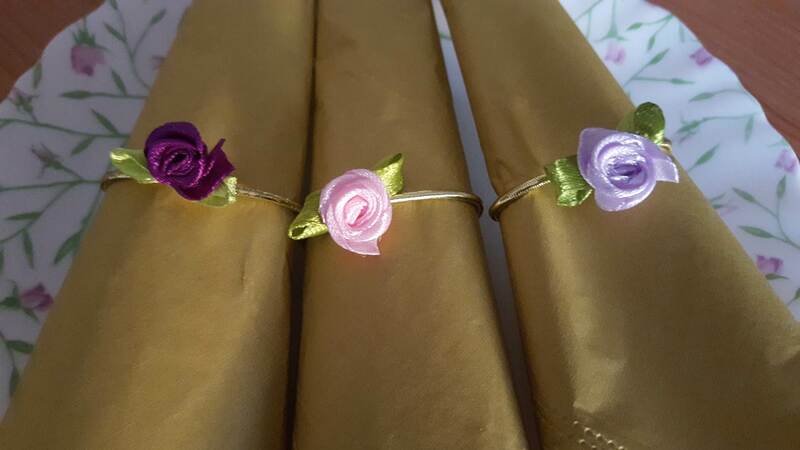 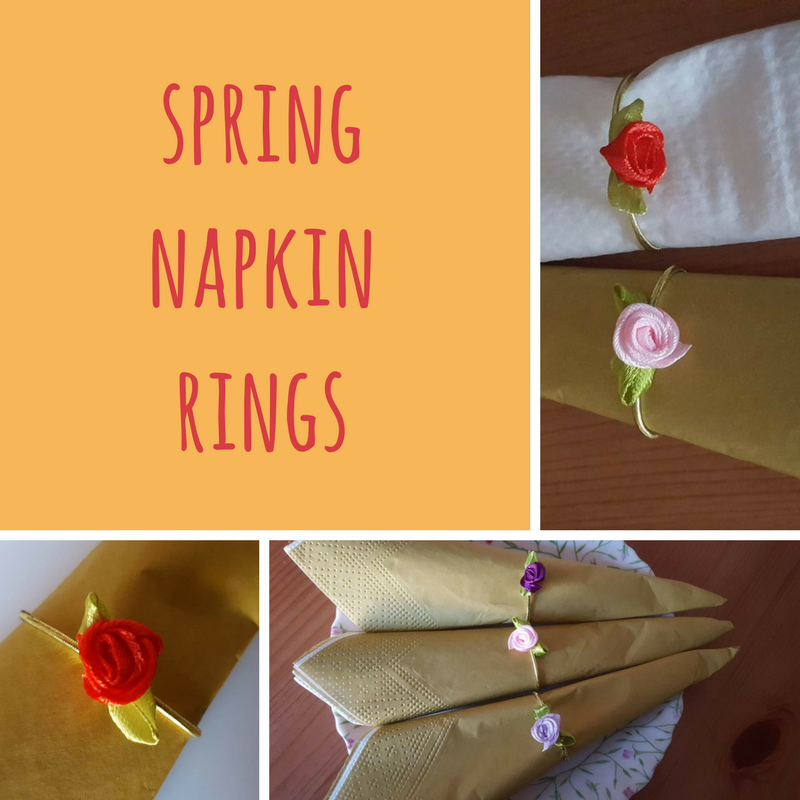 Maybe I will still get to all of those - because, really, there are a lot of flowers on that bag - but right now I made spring napkin rings. 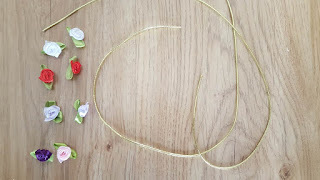 Creating circles our of bits of round elastic (this gorgeous golden elastic I found in my stash) and gluing the flowers on top. 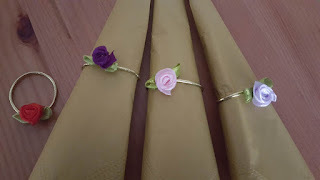 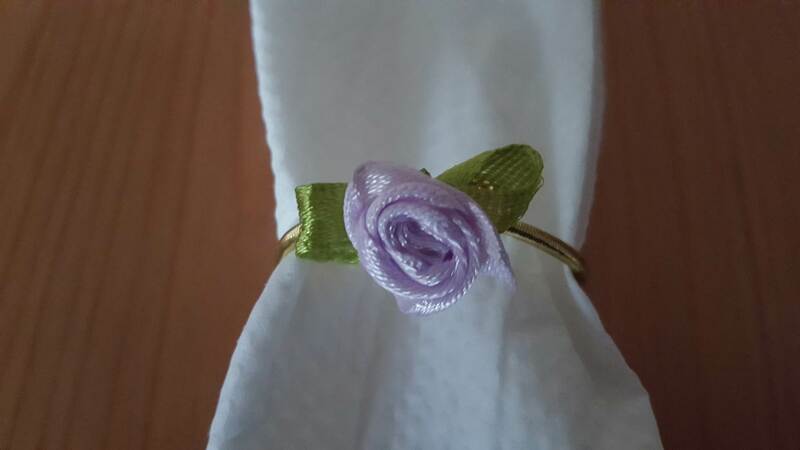 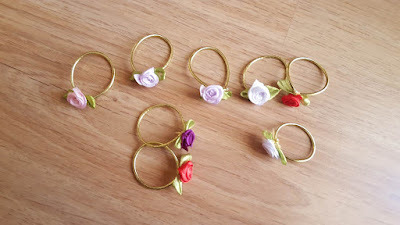 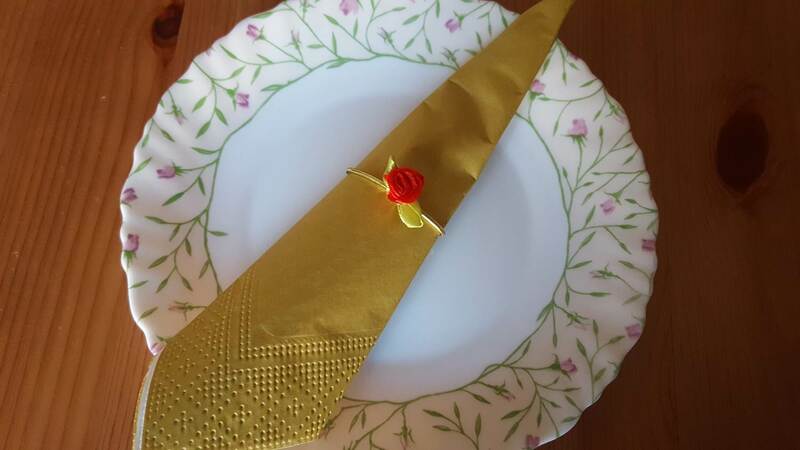 It was a fairly quick project, and I got eight amazing napkin rings out of it (for now).